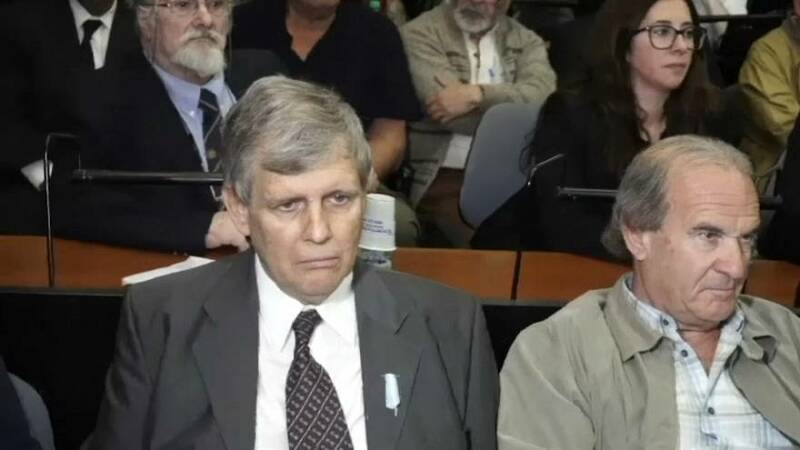 A former Argentine navy captain known as the "Angel of Death" has been sentenced to life behind bars over his role in the country's so-called "dirty war". Alfredo Astiz was found guilty of the torture and murder of hundreds of political opponents between 1976 and 1983 during Argentina's military rule. Some of the victims were shot dead by firing squad while others were thrown alive from aeroplanes. Outside the court, relatives celebrated the end of the largest trial of its kind in Argentina's history. Eduardo Jozami, human rights activist. Astiz's nickname comes from his cherubic looks and for his work delivering dissidents to the military junta as an undercover agent. In total, 48 people were convicted of charges including kidnapping, torture, homicide and the stealing of minors. Human rights groups estimate some 30,000 people were killed or disappeared during the brutal dictatorship.